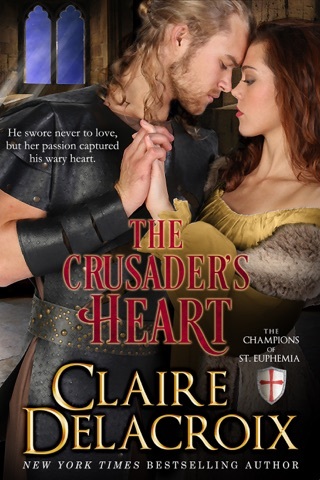 This picks up where The Crusader’s Kiss leaves off, following Ysmaine’s faithful lady’s maid, Radegunde as she tries to come to terms with her life as she perceives it to be laid out before her. 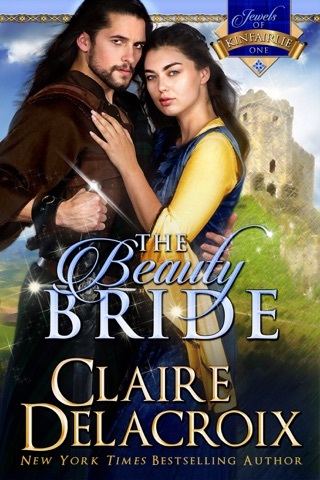 The reliquary has been safely delivered to Paris, the great adventure is over, and Radegunde faces a future with a husband to be chosen for her by Gaston. 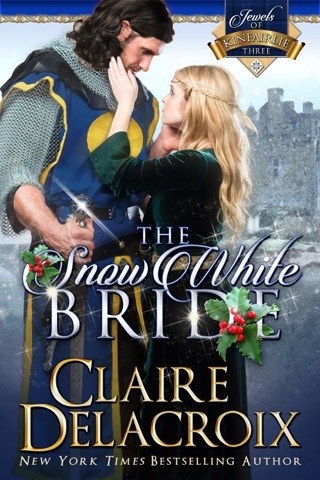 She wants more out of life and begs Duncan, the faithful knight who accompanied them on the flight from Jerusalem, to give her at least one passionate night to remember all her life. 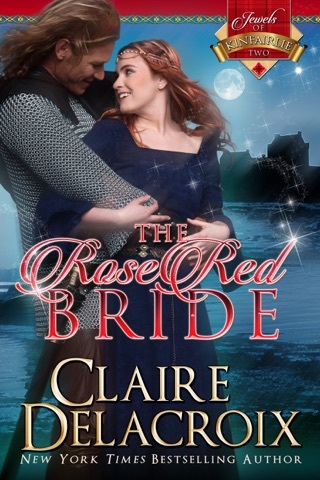 Duncan, being the honorable knight, though inflamed by Radegunde’s kisses and joie de vivre, refuses to take what she is offering and concedes to take her out dancing, merely to protect her, after she threatens to go alone. 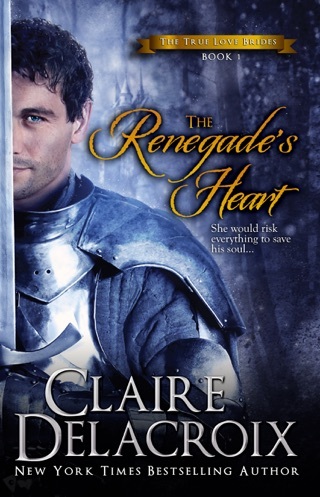 Duncan eventually reveals more of his past to Radegunde as she challenges him to change the choices he has made in his life. He offers her a compromise as they embark on a mission for Gaston. When Gaston finally reveals himself to the man who had stolen his legacy, Radegunde and Duncan are suspicious of the interloper’s cooperation. As the romance of Radegunde and Duncan is finally revealed to the residents of Gaston’s holding, Gaston and Ysmaine set a trap to expose the spy in their midst. Eventually we find out why attempts are being made on Duncan's life and he comes to a decision regarding his and Radegunde's immediate future, a decision that Radegunde vehemently and vocally disputes. Finally the trap laid for the traitor who lurks at Châmont-sur-Maine is snapped shut. Villains are revealed, promises are made and kept, alliances are formed. All in all a satisfying resolution, with myriad sub-stories wrapped up satisfactorily. 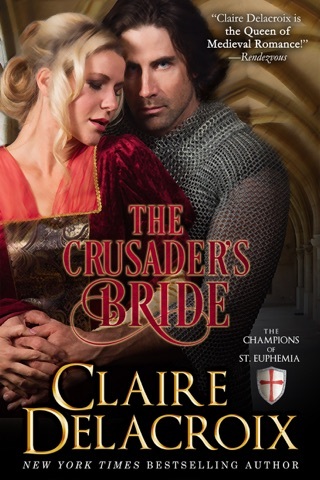 Can’t wait to see what more is to come in the awaited Crusader’s Vow. Excellent series! 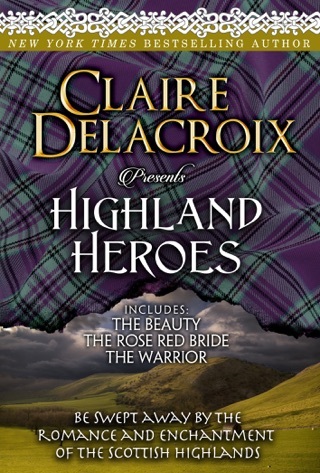 As always, this is beautifully written, the heroes are always honorable, the women always strong (even in an era when women had few rights)—everything you could want from a historical romance. Copy gifted by the Publisher in exchange for an honest review.